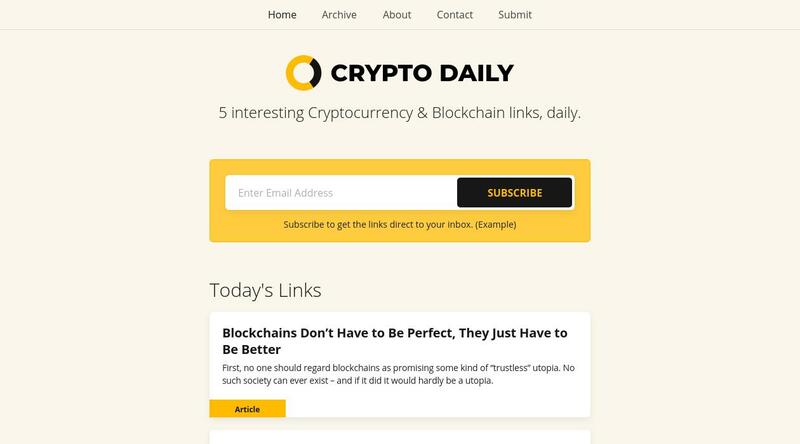 Crypto Daily surfaces 5 interesting cryptocurrency & blockchain related links. Everyday. Featuring in-depth analysis, long-form news and more.